The DWP has admitted 21,000 people died waiting for benefits. The Department for Work and Pensions (DWP) has revealed that over 21,000 sick and disabled people died waiting for it to give them benefits. That’s nearly 12 people a day dying, waiting for a decision over their claims. But these shocking figures pose more questions than they answer. how many people have died while waiting for their personal independence payment assessment to be completed; and what conditions those people died from. 4,760 claimants died between the DWP referring their case to, and it returning from, an assessment provider. 73,800 claimants died within 6 months of registering their claim. 17,070 claimants died after registering but prior to the DWP making a decision on their claim. The total number of PIP claimants who died topped 95,000. But Newton’s response does not indicate at what stage of their claim the 73,800 people who died within six months of it being registered were at. The cause of death of PIP claimants is not collated centrally by the Department. Personal Independence Payment (PIP) is a benefit for sick and disabled people. The DWP gives it to them to cover the extra costs of their impairments or health condition. is claimed by people with a range of health conditions and disabilities, many of which are degenerative or life limiting. This is unpublished data… It should be used with caution and it may be subject to future revision. So it would be wrong to say that the DWP was responsible for these deaths. But the figures pose worrying questions about its procedures and its efficiency. Because Newton also released the claimants’ main conditions / impairments. They show her department left some seriously ill people waiting for their benefits. 270 had anxiety and/or depressive disorders. 40 had motor neurone disease. Why were people dying whose main condition was non-terminal? Why did it take it so long to process nearly 5,000 cancer patients’ claims? Likewise with motor neurone disease? Also, what did the people whose main condition was mental health-related die of? And did DWP processes play a part in any worsening of their mental health issues? But there’s also a big question over the 9,020 people whose main condition the DWP didn’t record. It’s worrying that nearly five people a day died waiting for PIP and yet it has no record of their main condition. Because the DWP does not centrally collate causes of deaths, we have no idea either whether a claimant’s main, unrecorded condition killed them, or something else. So, if ‘something else’ killed them, did the DWP and government actions play a part? Was stress a factor in some people’s deaths? Did poverty and / or austerity have negative health effects? Did any of these people take their own lives? Because we have repeatedly been here before. The Canary asked the DWP for comment. We specifically asked it the questions in this article. Also, we queried why it did not have records of 9,020 claimants’ main condition / impairment. But it had not responded at the time of publication. For tens of thousands to have died whilst waiting for their PIP claim to be finalised is a damning indictment of DWP policy and failure. These are our mothers and fathers, our sons and daughters, our brothers and sisters, whose final days on this earth have been marred by stress and worry and anxiety. By allowing this country to be run by a cruel Victorian government, a government that lacks all compassion, that lacks all integrity, that has no conscience or decency, we must all share in this shame. So, it must be a wakeup call; another way is possible. Because if we stand together in the coming months, if we do what needs to be done, everything can change, everything. 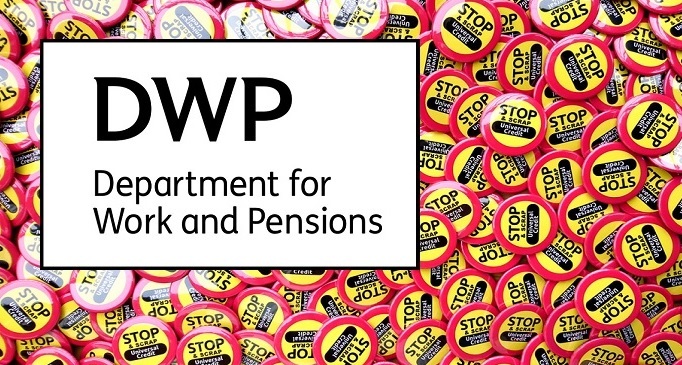 The DWP is not fit for purpose. Nothing short of root and branch change by a different government will now do.